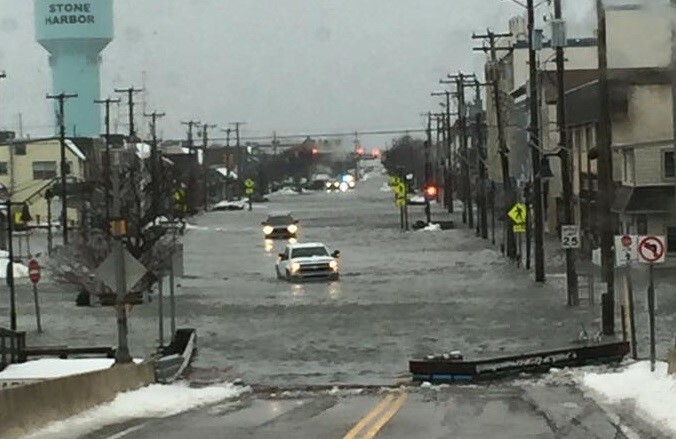 (18/P072) TRENTON – The Department of Environmental Protection and the U.S. Army Corps of Engineers next month will host public meetings in Ventnor, Atlantic County, and Toms River, Ocean County, on a comprehensive flood-risk mitigation study for the state’s back-bay areas. The first meeting will be from 6 p.m. to 8 p.m. on Sept. 12 at the Ventnor Educational Community Complex, 400 North Lafayette Ave., Ventnor 08406. The second meeting will be from 6 p.m. to 8 p.m. on Sept. 13 at the Ocean County College Gateway Building, Lot 1 off College Drive, Toms River, 08753. The Army Corps, in partnership with the DEP, is nearing completion of extensive construction of a statewide system of ocean beaches and dunes to meet federal protection standards. 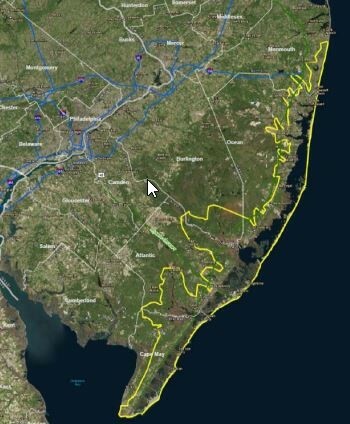 The objective of the Army Corps’ New Jersey Back Bays Coastal Storm Risk Management Study is to develop strategies to protect coastal communities against flooding from bays, rivers, creeks, lagoons, coastal lakes and other tidal shorelines. The study area encompasses 950 square miles and nearly 3,400 miles of waterways in Atlantic, Burlington, Cape May, Monmouth and Ocean counties. Strategies that are being considered include structural solutions such as storm-surge barriers, tide gates, levees, floodwalls and drainage improvements. Also being evaluated are ecosystem-based solutions such as marsh restoration, beach and dune restoration, and creation of living shorelines, which are areas planted with native marsh grasses and shellfish to provide natural flood buffers. The study is being cost-shared by the DEP and federal government. The study was developed out of the Army Corps’ North Atlantic Coast Comprehensive Study, which was undertaken after Superstorm Sandy slammed the Mid-Atlantic and Northeast in October 2012. Once the study is completed, the Army Corps will issue a decision document with a recommended plan. After the plan is approved by Congress, design and construction will occur as funding is made available. The public may also submit comments by email to PDPA-NAP@usace.army.mil or in writing to the U.S. Army Corps of Engineers, Planning Division, 100 Penn Square East, Philadelphia, PA 19107.